The ASI is recognised as the World leader in the provision of qualified SUP instructors and accredited schools: Not all SUP Schools can achieve and maintain the rigorous standards required to be an accredited ASI SUP School. Blue Chip is proud to have a 100% ASI recognition standard. 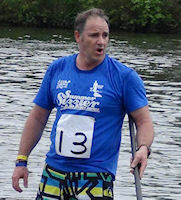 So you have had a go at SUP and just need some private coaching? 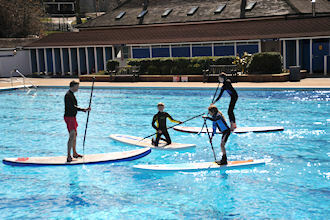 Our SUP Skipper Lessons run on the principle of safety, knowledge, fun and more fun. for our popular Wednesday Adventure paddles. What should I bring for a SUP Skipper session? So you’re not actually going to get wet, you really don’t need any special kit for paddleboarding (unless you’re going out in the waves, which is not on the agenda for any of our taster sessions). However, if you want to play safe there would be no harm in having a change of clothing and a towel in your car for your first few sessions, just in case. Your feet are the only part of your body that will come into contact with the water, but boards have good grip so bare feet or some old trainers will be fine. If you have surf boots you want to use then by all means bring them, but they certainly are not necessary. Shorts (or skirt) are the best bet, but you could always just roll your trouser-legs up if there’s no other option. Sunglasses are advisable, and on hot days it’s worth having some sun screen on , as you always burn faster on the water. Stand Up Paddle Boarding on the Thames from Teddington to Shepperton twice a week, every week. 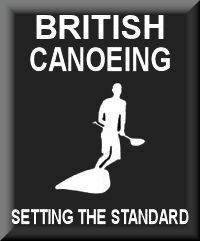 Blue Chip has been a professional water sports store since 1980 and at the forefront of SUP in the UK since the beginning. Check out our Blue Chip SUPer Club online blog with 200,000+ viewings, we are not just following a trend and jumping on the band wagon, we're setting the trend and moving the sport forward all the time. 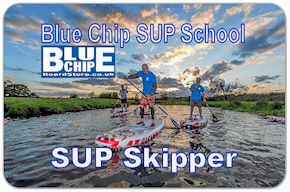 Blue Chip is probably the leading SUP store and SUP school in the UK. Brian Johncey, a water sports professional since 1970, a highly qualified instructor with over 40 years experience, bringing knowledge, experience and passion to SUP. Since 1970, Brian has been qualified as a canoe instructor, sub aqua instructor and windsurfing instructor. Brian was the first in the Europe to successfully fully complete the Academy of Surfing Instructors course to ASI levels 1 & 2. Brian is also a qualified RYA Power Boat levels 1 & 2 and high speed planing and control. Brian has qualified as an "Activity First Aider" and has a "National Rescue Award" from the Royal National Life Saving Society, and also has an enhanced CRB certificate. 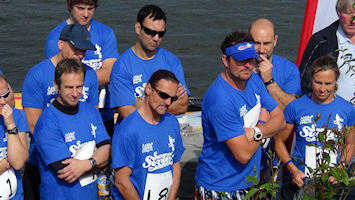 Thames Sailing Club in Kingston Upon Thames is a great place to start and progress your SUP adventure. With full club facilities Changing Rooms, Showers etc. This is a great place which we often use on our Wednesday evening paddles. 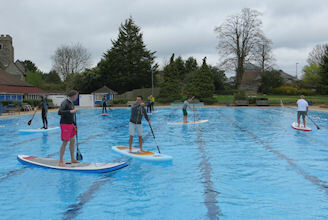 The Blue Chip SUP School also uses the 12,000 m2 (approximately 3 acres) Guildford Lido which is a 50 x 27.4m heated outdoor pool set in landscaped gardens on the edge of Guildford close to the A3 so very convenient to get to. The Pool is between 1.5m and 2.5m in depth. This is a great way to improve your "tail sink" turns and other risky maneuvers in a safe and fun environment. Guildford Lido technique sessions will be open to Blue Chip SUPer Club Members only or by invitation. 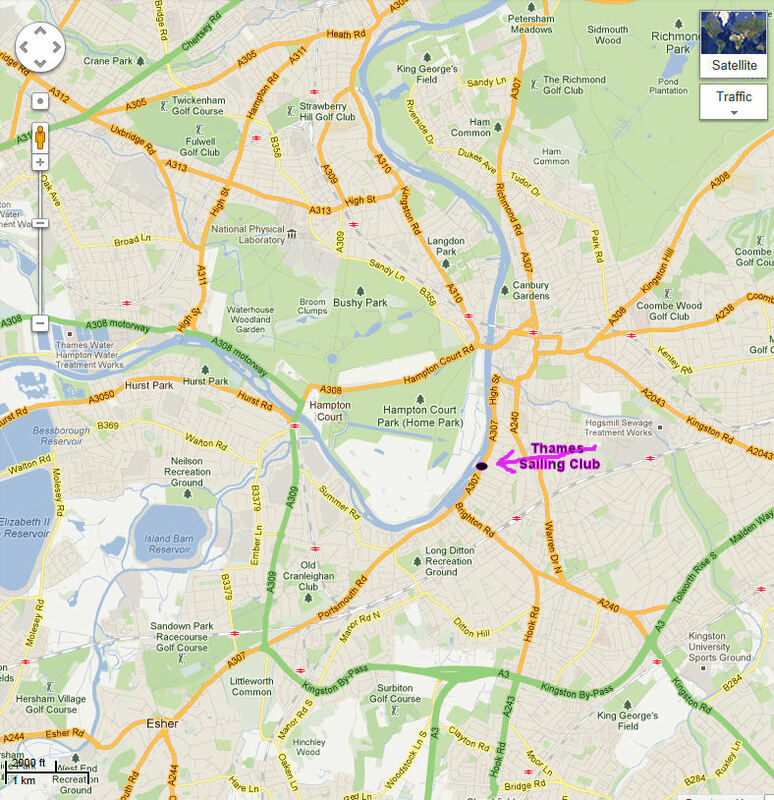 Our Hurst park location is in Molesey just west of Hampton Court. We paddle out and around the Hampton Court area with its fabulous backdrop We have been teaching SUP at this location since 2006 so we know it very well. When SUP first came to the UK, Blue Chip embraced this up and coming water sport. Blue Chip soon gained a reputation as the leading store and knowledge base for SUP in the UK. At Blue Chip, customer service, reputation, experience and knowledge of the sport matters. 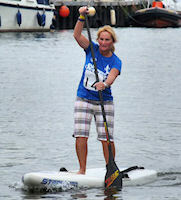 Over the past few years, many hundreds of people have enjoyed the Blue Chip SUP Taster Sessions. Blue Chip SUPerlub has over 140,000 viewings of its on-line paddling adventures. Club has over 150,000 viewings of its on-line paddling adventures. Attaching the leash to your board correctly . We offer a "SUP Taster Session" in which we cover board and paddle design including their relevant applications and advice on which type of boards and paddles would best suit for your individual requirements. We give you the opportunity to try SUP boarding in a safe environment where you will also be able to try various boards and paddles to get an understanding of how they could affect your paddling. Blue Chip "SUP. During your Blue Chip Taster Session (which will last for about 2 hours) you will be partnered with an experienced SUPer on a ratio of no more than four novices to one experienced paddler so you will have a high level of guidance (and fun).